9STAR's Elastic SSO Team Edition Identity Provider, is an enterprise-grade, secure single sign-on (SSO) access AMI. SaaS developers and enterprise customers are now able to provision, host and manage user identities and SSO authentication on AWS for enabling secure SSO access to their applications. 9STAR's Elastic SSO® Team Pro, provides a web-based, simple and easy way to provision enterprise user identities, federated single sign-on (SSO) authentication and access management capabilities in the Amazon AWS cloud. 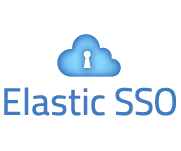 Enabling secure single sign-on access to enterprise applications through Elastic SSO on AWS requires no hardware or software installations, and runs completely within the AWS cloud environment for easy deployment. Elastic SSO is ideal for provisioning secure extranet SSO access for customers, partners, staff, vendors, students, alumni and other external users. Provision unlimited users, apps and federations. Wizard style web interface for SSO and User management. Strong security via multi-factor authentication.